SEATTLE — Katie Hempen scored 12 points and Kelsey Moos and Deja Mann added 11 points each to lead the No. 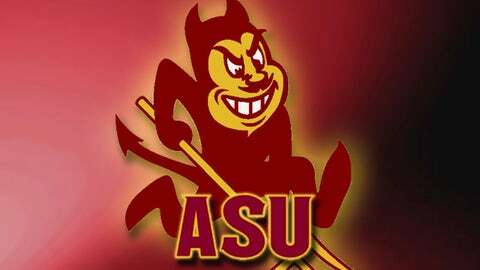 24 Arizona State women’s basketball team to a 78-60 win at Washington on Sunday. All 12 of Hempen’s points came from long range, as she was responsible for four of ASU’s season-high-tying 11 3-pointers. The Sun Devils shot 52 percent (11 for 21) from downtown and had a season-high 24 assists while committing a season-low 12 turnovers. Also scoring in double figures for the Sun Devils (12-2, 1-1 Pac-12), who outrebounded the Huskies 44-32, were Joy Burke (10 points, team-high seven rebounds) and Eliza Normen (career-high 10 points, 4-4 FGs). The scoring contributions from Hempen, Burke and Normen helped the Sun Devils finish with a 45-10 advantage in bench points. The two teams went back and forth the first two minutes, splitting the first 12 points of the game. A 3-pointer by Mann started an 18-3 run by the Sun Devils, which was capped off by consecutive 3-pointers by Elisha Davis. Davis, ASU’s leader in assists coming into the game, finished with eight points to go with a career-high seven assists and only one turnover. The Huskies (8-5, 1-1) did not get into double figures in scoring until a jumper by Mercedes Wetmore cut ASU’s lead to 24-11 with 10:55 left in the first half. The Sun Devils would answer with a 9-2 run over the next 1:44 to extend their lead to 20 points at 33-13. Moos’ third 3-pointer of the season gave ASU its largest lead of the half, 45-24, with 2:44 remaining. The Huskies, who trailed by 18 points at the half, would get no closer than 16 the rest of the game. On the defensive end, the Sun Devils limited the Huskies, who came into the game third in the Pac-12 in 3-pointers per game (8.0), to only a pair of triples (2-10). Providing the bulk of Washington’s offense were Jazmine Davis (23 points) and Kelsey Plum (16 points), who combined for nearly two-third of Washington’s 60 points.